A listing on Amazon, which has since been pulled, has given us our first look at the upcoming Star Wars The Black Series – Emperor Palpatine with Throne. This 6″ deluxe release will include feature The Emperor, his iconic Death Star II Throne, a pair of hands with Force Lightning effects, what looks to be a new robe, and three swappable portraits. Look for this figure to be on hand at Star Wars Celebration Chicago, along with other Hasbro reveals. The images come courtesy of Flyguy.net. They have also revealed that the release will likely be priced at $49.99, &#187; Continue Reading. 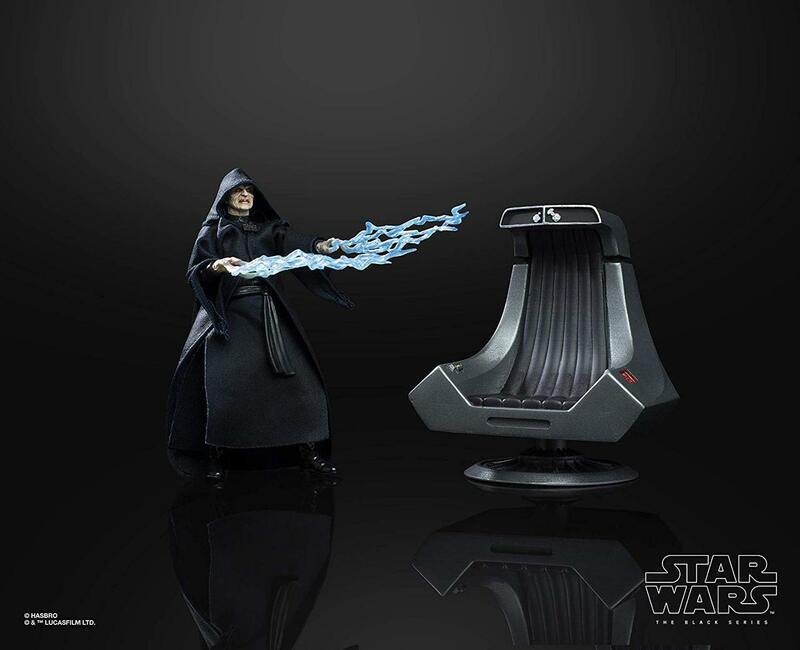 The post Star Wars The Black Series – Emperor Palpatine with Throne appeared first on The Toyark - News.